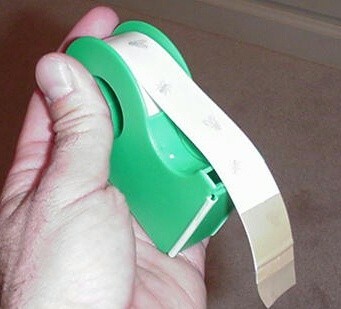 PRODUCT DESCRIPTION: 12 foot long piece of sticky tape which is placed around the trunk of any tree you want to trap ants. The tape has an insect pattern and glue on both sides. It attaches to the trunk of the tree by wrapping it around at any level; however, it is best to place it higher than where small children can reach it. WHERE TO USE IT: On any tree which you want to decrease ant activity. It is important to note that this is not a true control measure. It will slow up ant activity and keep ants off a tree if they are only foraging there from time to time. However, if they are nesting on the tree you will have to use the Carpenter Ant Gel or the Drione to kill the nest. 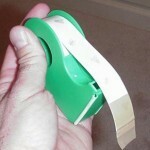 This tape will not kill the nest.